Your one-stop resource for employment law, human resource and management needs. Our solutions let you focus on what you do best, while we take care of the rest! The Law and Management Resource Center (LMRC) is a unique business and employment law, human resource and business management consulting and training firm. The focus of our firm is helping businesses, schools and other organizations grow and succeed while minimizing their legal risks and building productive, dedicated workforces. Rated the number one employment law consulting firm, the number one human resource consulting firm, and the number one management consulting firm in San Diego, we provide a variety of services, including consulting plans that include helpline services, training and educational programs. We work with business owners, executives, supervisors, managers and human resource professionals to prepare them to succeed in properly managing business and employment related issues. This helps prevent costly lawsuits that can threaten the profitability and reputation of a business or organization and the careers of its leaders. LMRC serves small, medium and large businesses and organizations in a wide variety of industries. We serve employers and business professionals who recognize the value of having attorneys and management consultants available to them on a daily basis at an affordable cost. Our clients say we are the best human resource consulting firm, the best employment law consulting firm, the best management consulting firm and the best training firm in San Diego! How are we different from those who try to compete with us? It’s simple. Our employment law and human resource services are provided by in-house, licensed employment law attorneys who are also experienced human resource executives. Help with business management needs is fulfilled with the additional expertise and knowledge of an MBA consultant. LMRC is unique in that our approach and the information and counseling we provide stem from a composite of experience in litigation, business and MBA consulting, human resources and education. This experience allows us to understand the business side, as well as the legal side, of workplace issues and business management concerns. The educational backgrounds of our consultants, including juris doctor (JD), MBA, Master in Education Administration and the specialized field of Human Complex Systems enable us to develop and offer especially beneficial training programs on topics relating to business and employment law, human resources and business management. Our consultants provide practical business solutions that take into consideration both legal compliance and business realities, and our programs provide clear information and strategies that can be used in the workplace on a daily basis. Through dedicated service, we help our clients succeed in properly managing their workforces. We are a trusted source of information. Our consultants are experienced, motivated, results-oriented leaders with proven records of success. While our attorneys possess years of courtroom experience, our goal is to keep our clients out of court through strategic counseling, education and information. Recognizing that a positive work environment promotes enhanced morale and increased productivity, our management programs are designed to provide the knowledge and strategies that are essential for effective management of employees. Our services help employers and workplace leaders comply with the myriad of business and employment laws and regulations, understand their responsibilities, avoid workplace disputes and satisfy legitimate employee expectations. LMRC succeeds by helping its clients succeed. 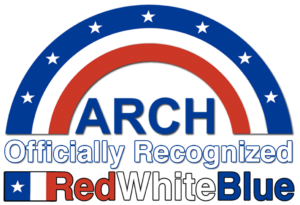 The Law and Management Resource Center is also a proud Red, White and Blue Organization and officially recognized by Americans for Respect, Civility and Honor (ARCH). ARCH is a 501(c)(3) nonprofit organization formed for the purpose of unifying Americans and promoting respect, civility and honor in solution-based conversation. ARCH is working to unite Americans by focusing on what Americans have in common instead of the differences among us. By uniting Americans, we can help bring an end to animosity, hostility and violence. Visit archunite.org for more information and to get involved. Affordable services for solutions you can't afford to go without. Buy 2 get 1 free online harassment prevention training discount and free harassment policy update - $14.67 per employee! All California businesses with 5 or more employees must provide training to employees and supervisors in 2019. If you completed training in 2018, you must complete training again in 2019. Discount on employment law and human resource consultation, California employee handbook and online harassment prevention training. ​Content copyright 2019. Law and Management Resource Center. All rights reserved. The information provided on this website is intended solely for the use of our clients and is not intended to provide legal advice on any specific matter. The Law and Management Resource Center does not provide legal advice to non-clients and is not seeking new clients from this site. The contents of this site are protected in accordance with all applicable laws and may not be reproduced without specific written permission.